Posted on April 30, 2015, updated August 22, 2017. One of the best burger joints in town is also on wheels! The BRGR truck can be seen on its normal route around the city during the week, parking at the Parkway Center Office Park in Greentree on Wednesdays and stationing itself at the corner of Forbes and Grant in downtown on Thursdays. 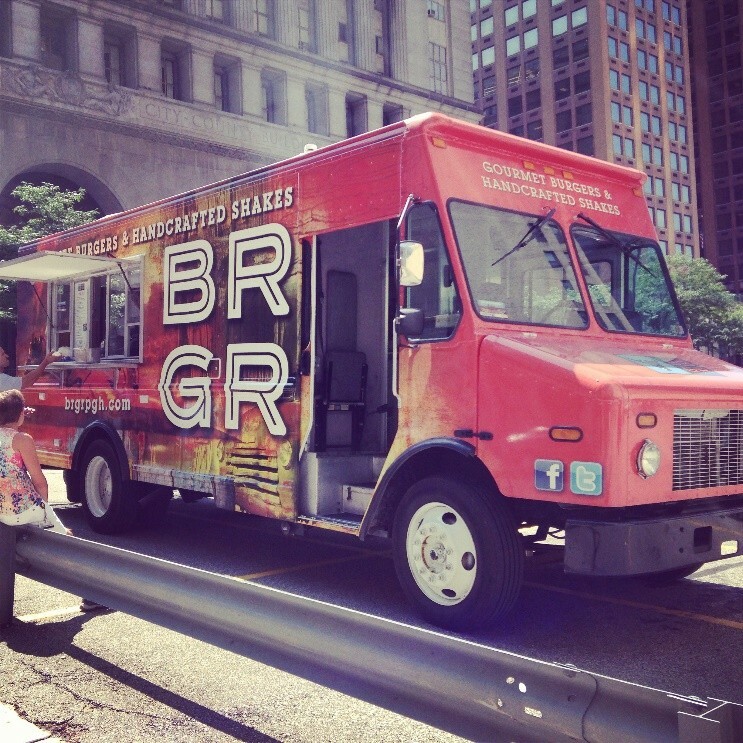 BRGR is also one of the trucks you can rent for your special event. Gulas said while BRGR has one truck to rent, it is common for customers to hire more than one different food truck option for their guests to choose from to eat. She said customers should take into consideration if they want their guests to all sit down and eat at once or if they want to have a steady flow throughout the night. For more information on the weekly schedule of the BRGR food truck or to contact them for your next event, make sure to check Twitter and Facebook. 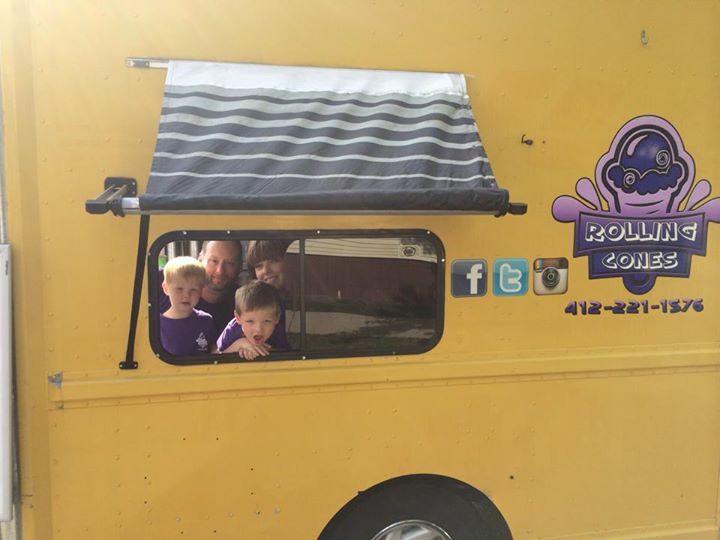 This truck is new to the Pittsburgh scene – founded last year by husband and wife, Mike and Kristen Baughman. The duo run the Rolling Cone truck in addition to their full time jobs. It was a dream of theirs to open an ice cream shop, but with their day jobs, Baughman said it was near-impossible to follow through on that dream. “Actually [it was] my wife’s idea to open it from a truck,” he said. “The food truck scene was expanding, and we both didn’t want to quit our jobs, so thought a food truck was a good alternative. Getting this truck was easy to obtain, but there are things you need to consider, especially if you are using the vehicle for a long period of time on the road. Every truck on the road, especially if used for business purposes, should be fitted with a device that helps identify the hours they have spent on the roads. It also indicated whether or not the driver has taken breaks throughout their shifts. I didn’t know this before getting our truck, which is why doing your research into a site like BestELDDevices.com is beneficial to help you gain a better understanding of how these devices work. Driving can be quite stressful, so taking taking your breaks is more for your benefit than anyone else. Technology is changing and there is always something out that can help make life a little bit easier”. The couple serve Penn State Berkey Creamery, a tradition at Mike’s alma mater, Penn State University. Baughman said the duo must travel to Penn State to pick up the ice cream for their supply. Baughman said the variety of flavors is different from time to time, depending on the availability of flavors at Penn State when they go to pick them up. He added that they usually have 10 to 15 flavors available at a time, and people can choose the flavors they want for their events from what Rolling Cones has available. “If we have enough time before an event, and people have a special request, we can see if The Creamery has it, and we can get it for the event,” he said. The couple look to expand their customer base this summer and want to get more involved in serving at private events. For more information on the truck, make sure to check out the Rolling Cone Facebook page or Twitter. Five years ago, Franktuary expanded its growing business to include a food truck, and it plans to expand even further this year. “We have one truck, but we are scheduled to have a second truck arrive in Pittsburgh this May,” said Tim Tobitsch, president and owner of Franktuary. 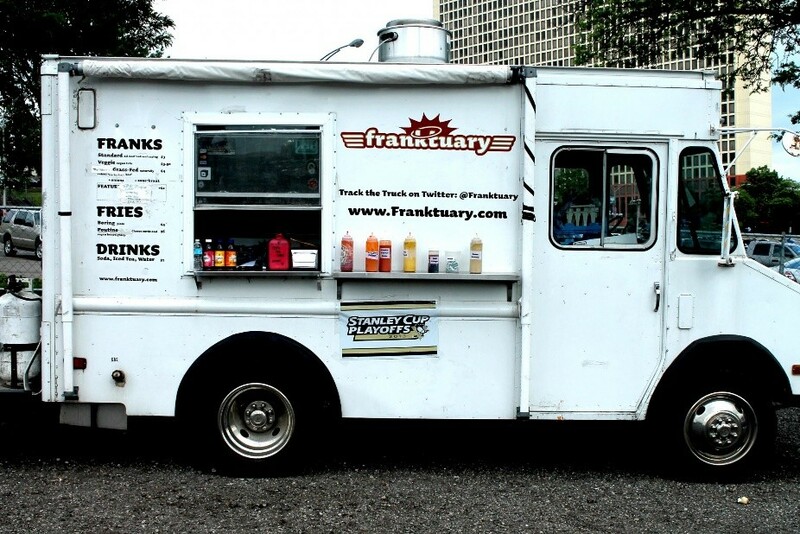 Specializing in “grass-fed and humanely raised meat, specialty sausages, vegetarian and gluten-free options,” the Franktuary truck delivers its food to the streets of Pittsburgh. The menu, taken from the bricks and mortar restaurant, is streamlined for the food truck for the sake of efficiency, Tobitsch said, adding that Franktuary does its best to accommodate special requests for private events. Special event catering is also available with the restaurant on wheels, which can be booked through truck@franktuary.com. Peak food truck season is April through October, he said, although as people embrace food trucks in this city an increasing number of winter opportunities are coming our way. Check out the Franktuary website, Twitter page, or Facebook account for updates on the menu and locations of the food truck. Need to satisfy your sweet tooth? 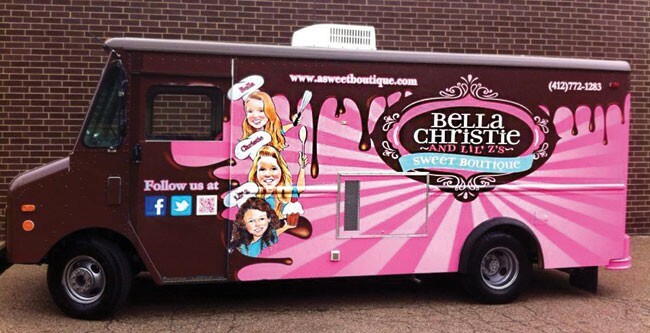 Bella Christie and Lil Z’s Sweet Boutique may be the perfect food truck to have at your next event. The truck is available for all kinds of events, from school functions, mitzvahs, and corporate events to festivals and weddings. “It is a great way to make a statement at an event,” Amanda Byrne, Director of Events, said. She added that all of Bella Christie’s food truck appearances are scheduled in advance. The truck typically serves a different menu than the stores, focusing on items such as cake pops, chocolate covered Rice Krispie treats and mini cupcakes. Byrne added that chocolate covered bacon is a popular item, and during the summer, they will serve seasonal items, like freshly-squeezed lemonade. Bella Christie’s also offers extra amenities for events, such as a liquid nitrogen station or a doughnut cart, which can be just be added to the truck. To reserve the truck for your next event, visit the Bella Christie’s website or give them a call. PGH Taco Truck was a 20-year dream that finally became a reality for owner and operator James Rich in 2012. Rich began in the food industry in college, where he said working on a food truck was his favorite job. When deciding what he wanted to serve at his truck, Rich decided on tacos as a versatile food that anyone could enjoy. “Tacos are perfect street food, they’re portable – i.e. handheld – and you can make a lot of varieties of them so there’s something for everyone,” he said. PGH Taco Truck also offers catering, with Rich adding that they usually work one event a week, and they try to schedule a mixture of events, balancing private events with street vending and festivals/events. The menu at the PGH Taco Truck evolves, with Rich often taking into account what is selling locally and what the customers are asking for, including special requests for events. Rich added that they try to source local ingredients, such as beef, which comes from a family farm in Clarion. “Most clients leave the menu to us, but some request specific items that we may only do occasionally, such as ceviche, lobster, crab, exotic game, and specialized vegetarian items,” Rich said. The best way to get into contact with someone at PGH Food Truck for event catering is to call or email, Rich said, adding that their contact information is on their website. I must let you know that the other day a friend of mine was unfortunate enough to have a truck accident with a food truck. They decided that they needed some legal representation and were going to use san antonio truck accident lawyers, but decided to go with something in the vein of Moore OK truck accident attorneys. In the end they found the legal representation they needed and are so glad they did. 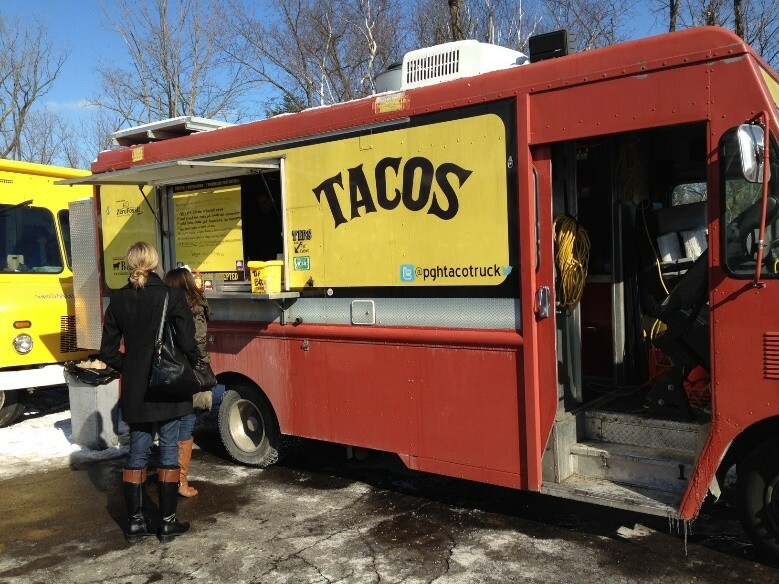 You can find more about the PGH Taco Truck and its locations on social media – Facebook, Twitter and Instagram. 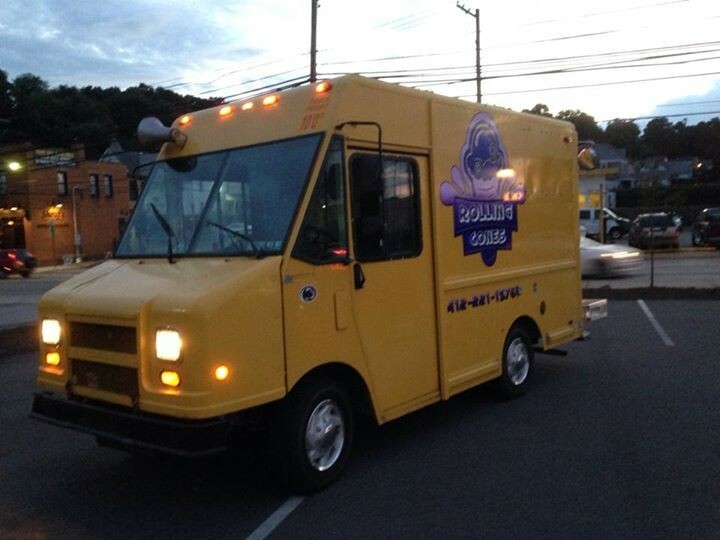 For more information on food trucks around the city, make sure to check out PGH Mobile Food.